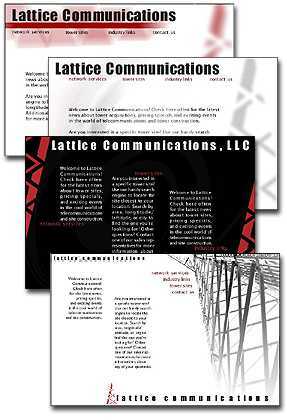 I presented design options, was responsible for the core programming of the site, and art-directed an illustrator to develop the final graphics for Lattice Communications, Ltd. while with USinternetworking. As a Web Designer, I've presented design concepts for numerous business websites. 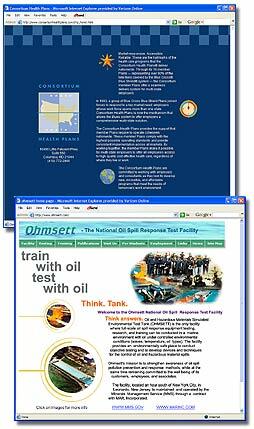 Design elements, and coding from my work has been incorporated into websites like these: Consortium Health Plans, located in Columbia, MD, and Ohmsett National Oil Spill Test Facility (cool trivia: Kevin Costner is one of their investors).